Please indicate hours your are available to work. Include the following 1. Name and location of school. 2. Number of years attended. 3. Major Course(s) 4. Graduated or Degree. EMPLOYMENT HISTORY Give Names and Addresses of All Previous Employers. If you are now working, present employer and reason for desire to quit must be included. Also give reason for any lapse of time between job.Give Names and Addresses of All Previous Employers. If you are now working, present employer and reason for desire to quit must be included. Additional paper will be provided upon request. Also give reason for any lapse of time between job. This application is considered current for 90 days. If you want to be considered for employment after this time you must renew your application in writing. I certify that the information contained in this application and/or any supplement thereto, is correct to the best of my knowledge and understand that any mis-statement or omission of information is grounds for dismissal in accordance with Company Policy. 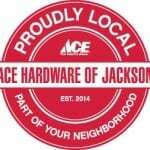 I authorize Ace Hardware to contact my current or prior employers and/or the above references and request any information concerning my previous employment and any pertinent information they may have, personal or otherwise, and I expressly release Ace Hardware and all parties providing such information from any and all liability or responsibility for damage that may result from furnishing the same to you. I further understand said background check may also involve the Company’s obtaining an investigative consumer report on me which may cover such areas as my character, general reputation and mode of living. I hereby authorize the Company, if they wish, to make such an inquiry and understand that upon my written request, additional information as to the nature of said inquiry will be provided. If I am offered a position with the Company, I agree to conform to the applicable rules, regulations and policies of the Company, and acknowledge that my employment and compensation can be terminated at any time with or without cause, and with or without notice, at the option of either the Company or myself. I further understand that no representative of the Company has any authority to make any agreement contrary to the foregoing or to bind the Company for the employment of any person for any specified period of time.